AAC Memebers and guests can receive 15% off Adult and Child ski and board packages at any Hoys shops. Upgrade this discount to 20% off packages if you book snow travel or hire chains through Hoys. Upgrade to 25% off packages if hiring a mimimum of 2 days and you prepay a minimum of 3 days prior to arrival. Hoys are offereing an additional discount this season of the 5th consecutive day rental is FREE. 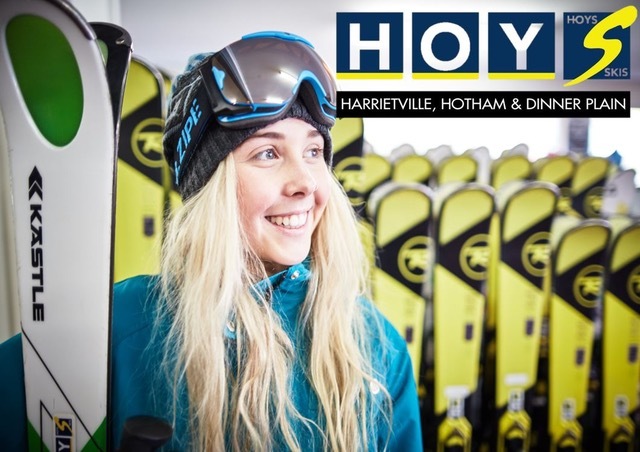 Hire your chains from Hoys Harrietville to take advantage of their amazing Free fitting service on the way up the mountain (operates the Harrietville side). Hoys chains are available to hire from Hoys Chain Omeo, 157 Day Ave.
Hoys are a family owned business operating for over 60 years with 4 centrally located hire outlets at Harrietville, Hotham and Dinner Plain, offereing highest quality equipment and local friendly service. Hoys also hire XC skis and snowshoes. 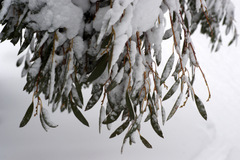 An Australian Merino winter clothing supplier (www.iomerino.com) is offering AAC Members a discount of 20% by using the discount code of AAC20. Australian Merino is warm and soft, worth a try if you are looking to stock up for your next visit to AAC Niseko or ahead of the next seasons preparations. Made from premium Australian Merino, I/O Merino is softer, warmer and more comfortable than the rest and recommended by experts everywhere. The prefect thermal base layer for on the slopes, it looks and feels fantastic. Use code AAC20 at checkout for 20% off any full priced item. 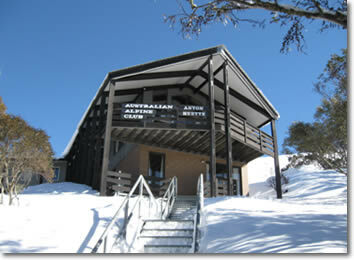 The Australian Alpine Club oversees ski lodges at Falls Creek, Mount Hotham, Dinner Plain, Perisher in Australia and Niseko in Japan. Each project is financially and administratively autonomous and elects two delegates who form the committee or Council of the Australian Alpine Club. Inter-club races are held to encourage interest in racing among AAC members. to promote competitive skiing and tours and exploration on skis. Memberships are available at most AAC lodges, although special conditions may apply. Membership of an AAC lodge gives you benefits at all affiliated lodges. Please visit the web site of individual lodges for further information.